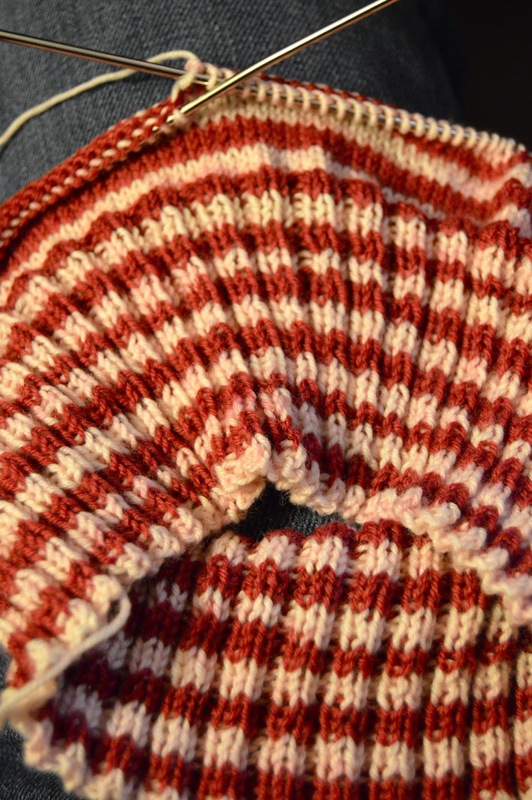 A Christmasy red & white striped slouchy hat. The yarn is Knit Pick's Felici in "Cheer." I'm knitting the hat on US 1 needles so it may be next Christmas before I finish it. I'm loving the knitted fabric though. There's just enough pink mixed in that it looks like a slightly sticky candy cane. In fact, sometimes, I swear I can smell peppermint when I'm knitting.